It’s probably an open-secret that the 2016 Nissan Rogue comes equipped with state-of-the-art technologies to keep you and other passengers entertained, engaged, and informed on drives both long and short. Likewise, you likely already know that the Rogue is embedded with a bevy of safety systems designed to ensure your safety on all drives, both up to Chicago and just around town. But what you may not yet know is perhaps the most exciting thing: the Nissan Rogue comes equipped with a massively powerful engine and promises a selection of driver assist programs that make this one of the most high-performing vehicles on the road today. 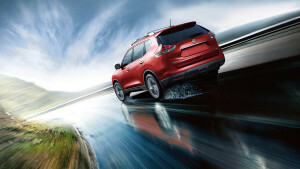 Check out the awesome performance features in the all-new 2016 Nissan Rogue. First of all, the Rogue runs on a mega-powerful 2.5L 4-Cylinder engine that is capable of generating 170 hp as well as 175 lb-ft of torque, ensuring unbelievable levels of horsepower. What this all means in practical terms is that you’ll get, among other things, as many as 1,000 pounds of maximum towing capacity, promising to make it possible for your to lug all but the heaviest loads up the lake on vacation or just around town for work. In order to maximize fuel efficiency, all you’ve got to do is flip on the Eco Mode in order to optimize the amount of fuel expended and do the best you can both for your wallet and for the environment. At the same time, the Rogue offers two different transmission systems: Front-Wheel-Drive and Intuitive All-Wheel-Drive, both of which work to make the Rogue an even more efficient vehicle and promise a memorably smooth ride and excellent handling. All this pays off when combined with Xtronic Continuously Variable Transmission, which allows the Rogue to realize as many as 26 mpg in the city and 33 mpg on the highway. At Sorg Nissan, you can experience all the power and high-quality performance that the 2016 Nissan Rogue has to offer. Simply stop by our dealership at 2845 Detroit Street in Warsaw, contact us online, or give us a call anytime at 574-267-5850, in order to test drive this exciting new vehicle and feel its awesome engine power for yourself. 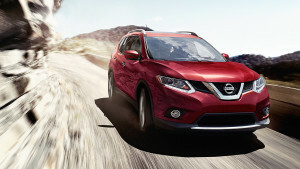 Don’t miss your chance to explore the 2016 Nissan Rogue in the flesh!